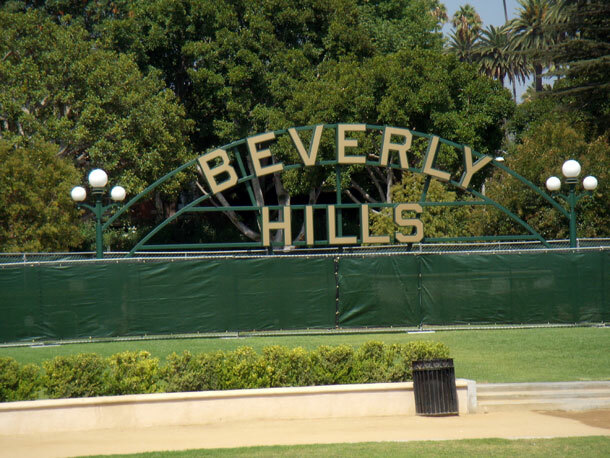 Less than six square miles in area, Beverly Hills was the brain child of entrepreneur Burton E. Green, a land developer who, in the early 1900s, named his newly created California city for his hometown of Beverly Farms, Massachusetts. The fledgling motion picture industry was booming in nearby Hollywood and when Douglas Fairbanks and Mary Pickford came to Beverly Hills and built their “Pickfair” estate in 1919, a legion of other celluloid luminaries soon followed, including Tom Mix, Will Rogers, John Barrymore, Gloria Swanson, and Rudolph Valentino. Always a city of superlatives, Beverly Hills developed into an oasis completely surrounded by the megopolis of Los Angeles. Known as the most prestigious address in America, city promoters tout the community as a trend setter in fashion, lifestyle, and beauty. But we like what Ray Riegert had to say in his book, Hidden Southern California: The Adventurer’s Guide. It’s a rags-to-riches town with a lot of Horatio Alger stories to tell. The world capitol of wealth and glamour, Beverly Hills is a place in which driving a BMW makes you a second-class citizen and where the million-dollar houses are in the poorer part of town. The community with more gardeners per capita than any other United States city, Beverly Hills is one of the few spots outside Texas where flaunting your money is still considered good taste. A facelift here is as common as a haircut and many of the residents look like they’ve been embalmed for the past thirty years. Beverly Hills will always play host to both royalty and swarms of tourists all seeking the ultimate experience, whether it’s at the Polo Lounge in the famed Beverly Hills Hotel (built in 1912 at Sunset Boulevard and Beverly Drive), in one of the trendy restaurants, or at the splashy designer boutiques with outrageous prices along the three blocks of Rodeo Drive (pronounced roh-DAY-oh) in the heart of this city that is simply too much.